I am all things quilt! I make them, collect them and love to feel fabric, I am a quilter and proud of it! I wanted to read this book but time just didn't let me, but I gotta let everyone know about it. Coming from a long line of seamstresses, Libby has yet to sew anything more than the rudimentary button or hem, but on a visit to Connecticut she learns more than just how to sew patchwork. 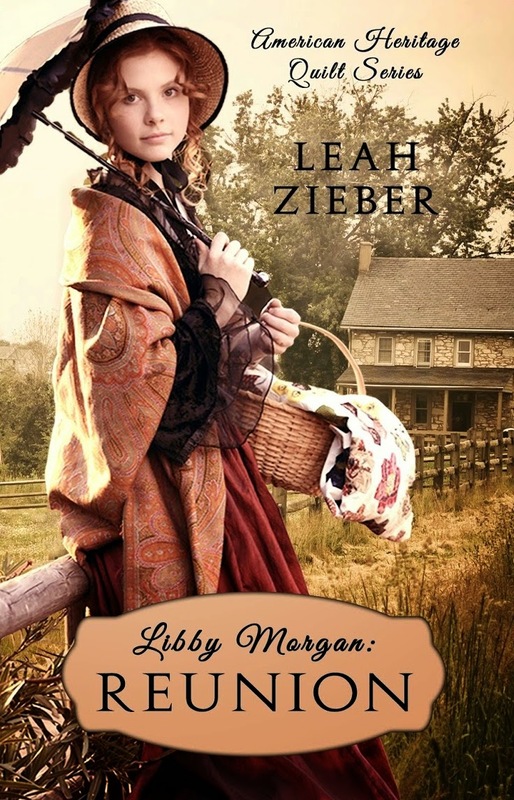 Set in 1855 New England and London, this tender story, Libby Morgan: Reunion, follows tenacious Elizabeth (Libby) Jane Morgan through her thirteenth summer of new adventures at home and abroad. She is given a birthday gift of sewing tools and fabric, as well as old family letters to use as templates for making her first quilt. 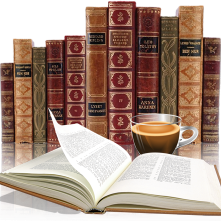 Her decision to first read the letters results in questions that only her Grandmother Morgan’s stories can answer—stories of true love, horrible loss and family connections to London nobles. Her keen eye and inquisitive nature draws her family into a mysterious investigation that tests their faith, challenges their ability to forgive, and results in a resurrection and reunion of lost hearts. 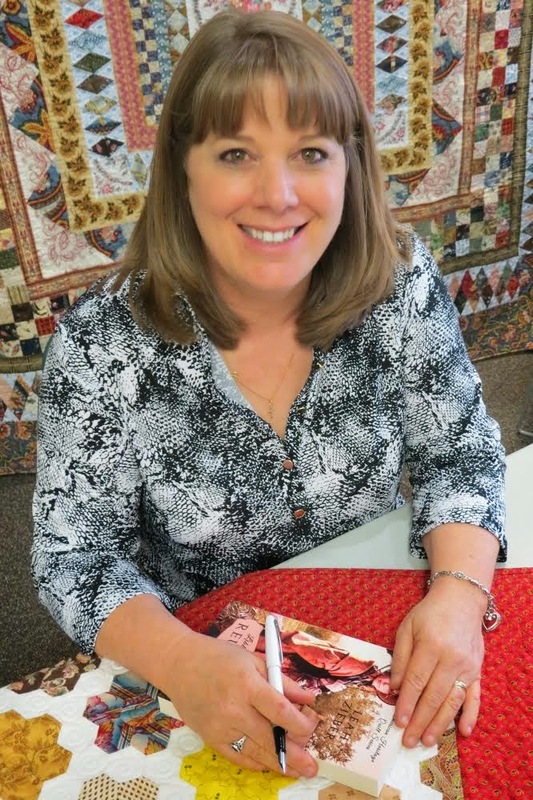 Leah A. Zieber is a quilt historian and quilt maker from Temecula, California, specializing in American quilt history and reproduction quilts from the nineteenth century. Her quilts have been exhibited across the country in quilt shows, museums and historical societies and were most recently published in Stars: A Study of 19th Century Star Quilts. Leah has worked closely with Southern California collectors, cataloging, managing, and independently researching their textile collections. Her own collection of antique quilts and related textile items spans one hundred and eighty five years, and she shares her knowledge of American quilt history using her collection in lectures and workshops. Libby Morgan: Reunion is her debut novel and the first in her American Heritage Quilt Series. For more information please visit Leah Zieber’s website and blog. You can also connect with her on Facebook and LinkedIn.